Some teachers tell students not to “squeeze” or “grip” their gluteal muscles when backbending because this will compress the sacrum and lower back. Others say that it’s essential to use the glutes in backbends. What do you recommend? Notice that the face-down backbends are instructed with passive glutes, whereas the kneeling and reclined backbends are instructed with active glutes. I encourage you to experiment a little in these postures and observe what works best for your body. This variation of Locust Pose does not focus on engaging your glutes. Lay face down on your mat. As you exhale, lift your upper-body away from the floor. Root down through the top of your feet and be sure to ground the top of your smallest toe. Keep the glutes passive and focus on your spinal muscles working. 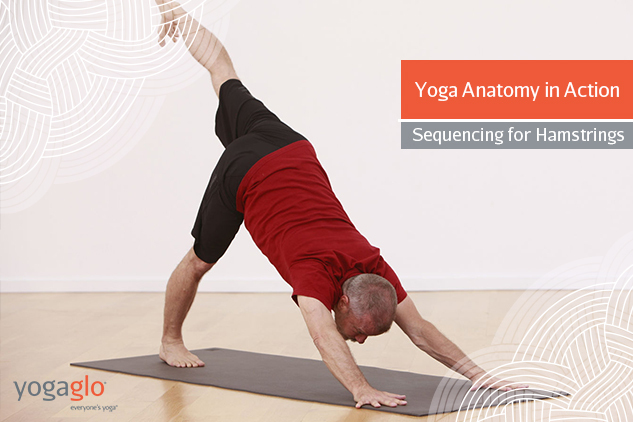 Lay face down on your mat and place your fingers inline with the center of your chest. Press down through the tops of your feet and your pubic bone as you partially straighten your arms. Draw your shoulder blades down your back and hug your elbows into your sides. Keep your glutes passive and allow your spinal muscles and arms to guide you into the posture. 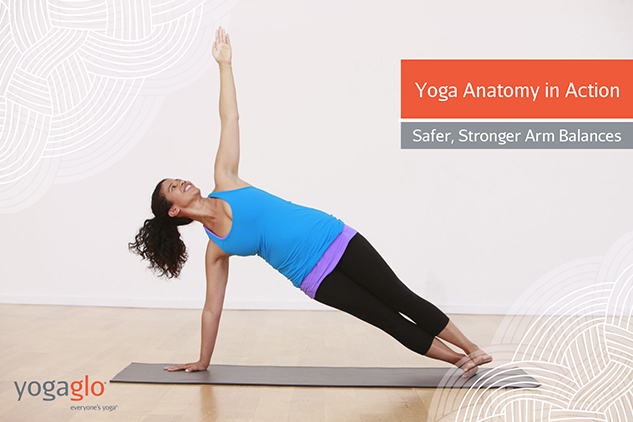 Transition into Up Dog from Chaturanga or from laying prone. Once in the posture, allow the glutes to be relatively passive. Focus on grounding down through your fingers, hands and feet while lifting your thighs, hip-points and chest. Lay on your back and pull your feet close to your hips. Separate your feet hip-width. Reach your arms overhead—your arms will be on the floor next to your head instead of underneath your torso in the posture. This position of the arms will make all of the muscles of your hips and legs, including your glutes, work more intensely. Press down through your feet and raise your hips. Your glutes will fire to help raise your hips. Gently engage your inner legs by imagining that you’re squeezing a block between your thighs. Kneel on your mat and touch your hip-points with your finger tips. If you have a block, place it between the inside of your thighs. 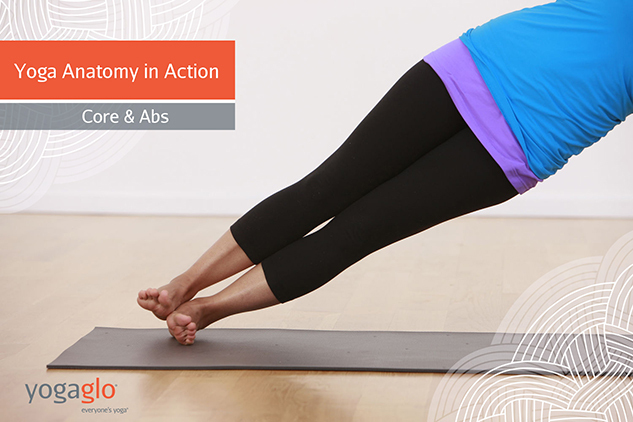 Lift your hip points up and lengthen your tailbone down. This action will begin to fire your glutes near the insertion of the hamstrings. One of my teachers, Richard Rosen, calls this part of the glutes, the LBM’s or Lower Buttock Muscles. It’s the lower fibers of the gluteus maximus. Take your hands to your heels, lift your chest and lengthen your breath. If there’s a block between your thighs, squeeze it firmly. This engages your adductors simultaneously with your glutes and inhibits your thighs from separating. Lay on your back and pull your feet close to your hips. Separate your feet hip-width. Lift into the posture on your exhalation. Once you are in the posture, bring your awareness to your glutes. Given the demand of the posture, your glutes will be firing. Feel the support that they’re providing while being mindful to simultaneously engage your inner thighs by hugging them toward your midline.